Lovely Pet Shop Batam ready to provide services for health and beauty treatments your pet, like a cat. 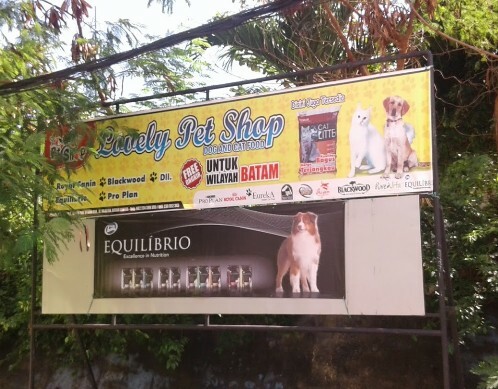 You do not have to worry leave your pet, because Lovely Pet Shop Batam is equipped with complete facilities and attractive. Lovely Pet shop Batam presenting the concept THE BETTER PLACE FOR YOUR PET provides a wide range of food and vitamins with very cheap price and sell cheap blocky sand with excellent quality and there is a free shuttle service to the whole area of Batam. The shop is open from Monday to Sunday.